HUBBARD - With the passing of Merle E. “Gene” Shilling, family and friends carry on the lessons learned from him – to be positive, creative and face every day and every challenge with a smile. Gene bravely displayed his can-do spirit and positive outlook as a resident the past 18 months of The Inn at Poland Way in Poland. On Sunday, he passed away suddenly, surrounded by staff members who had grown to love him. Services will be at 10 a.m. Saturday September 8, 2018 at First Methodist Church in Hubbard. Friends and family may call from 5 to 7 p.m. Friday September 7, 2018 at Kelley-Robb-Cummins Funeral Home in Hubbard. Gene suffered a childhood disease that led his leg to be permanently straightened at age 3. Despite always walking with a limp from that day on, he was determined to never slow down and never let his spirit sag. Gene worked for Scholl-Choffin Co., a local mechanical contractor, for 38 years, rising from a laborer to vice president of purchasing. His leadership skills were sought after in the community. He was president of the Youngstown Purchasing Management Association, served on the board of directors for the Mahoning Valley Boy Scout Council and held leadership roles with the Youngstown Rotary. 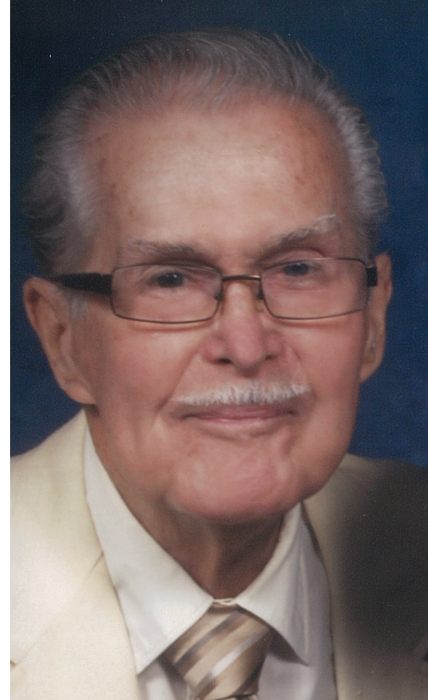 He loved to golf and bowl and was a member of area leagues. For many years, he and his late wife, Florence, played golf every day. His deep, rich voice could be heard singing hymns in the pews of several local churches. Most recently, he was a member of First Methodist Church and previously Corner House Christian Church. Gene never met a problem he couldn’t solve. He loved making picture frames, knickknack shelves and much more in his basement workshop, reupholstering furniture and taking on any home improvement project that his house or family member’s house needed. He even put together a crew of family and friends to split apart his one-car garage and transform it into a two-and-a-half car garage. But most of all, he will be remembered as a loving husband, parent, grandparent, great-grandparent, and uncle, always making family times full of laughter and fun games. The Shilling Family Olympics were a Christmas tradition. He and his wife, Florence, were married May 31, 1952 in Youngstown and shared 62 beautiful years together until she passed away in 2014. They had lived together in Hubbard since 1959. Gene was born March 26, 1928 in Struthers, a son of R. Blair and Leona Shaeffer Shilling. Gene was a graduate of Struthers High School. He is survived two sons, Kenneth (Karen) Shilling of Glenn Dale, Md., and Don (Amy) Shilling of Boardman; a daughter, Susan (Larry) Morrison of Batavia, Ill.; seven grandchildren; four great-grandsons; and a sister, Cindy Thomas of Youngstown. Preceding him in death were three sisters, Shirley Nord, Wanda Merkle and Judy Kay Shilling; and three brothers, Robert E., Glen R. and Gary Don.